Selected by a community of more than 850 expert judges, this year’s competitive cohort of 128 startups represents the top 8% of applications from around the world, including 12 countries and 16 U.S. states. Through a global network of zero-equity accelerators, MassChallenge helps the world's highest-impact, highest-potential startups successfully launch, grow, and create impact across industries. This proven model has accelerated 1,211 alumni that have gone on to raise more than $2 billion in funding, generate approximately $900 million in revenue, and create over than 65,000 direct and indirect jobs. Selected amongst 176 teams of 23 countries, VietChallenge empowers Vietnamese entrepreneurs to gravitate their innovative business ideas and early tractions towards scalable and high-growth startups and focuses on business ideas in Technology, Agriculture, Healthcare and Clean Energy. 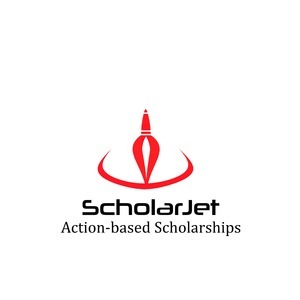 ScholarJet provides a web platform that revolutionizes the scholarship process by enabling donors, universities and businesses to create and administer action-based scholarships. An alternative to students submitting written credentials, they'll earn money for education through STEM, creativity, community service and health-related challenges. Marketing & Sales at ScholarJet; Social Selling, Employer & Personal Branding Consultant, background in recruitment and professional services.